A young girl who prefers to be alone, who lacks the social skills to have friends, who marries young and rapidly becomes a mother. This is the intense story of Jessica Fontaine who longs for the air in her house to be hers alone, who manages a difficult marriage and worries about how she is raising her son. This is a story of a lifetime of self-discover and self-acceptance. 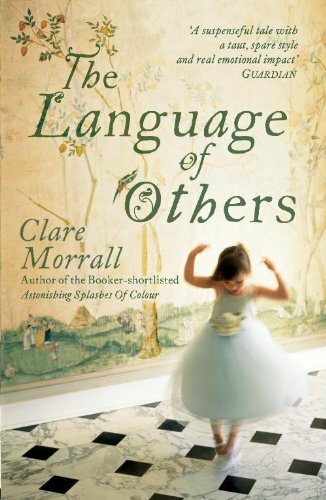 This description may make the book sound as if nothing happens but it does and, as in any Clare Morrall, subtlety is layered on subtlety. Jessica grows up at Audlands, a country house which is decaying around the family. Her father was a successful chocolate manufacturer and the house a symbol of his success. As he grows older and the company fails, so does the house. Jessica and her sister Harriet grow up side-by-side, loving the house, the dirt and cobwebs, but not really knowing or understanding each other. Only when Jessica discovers the piano does she find freedom. There is a lot of wisdom in this book, insights in how to behave – and not behave – within relationships, and how to be forgiving of others.